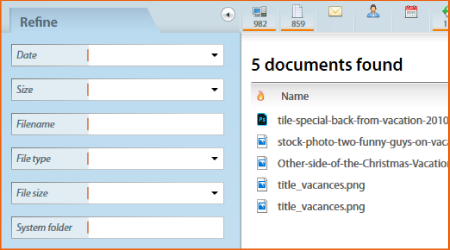 Search tools to instantly find files, emails, documents, and much more! 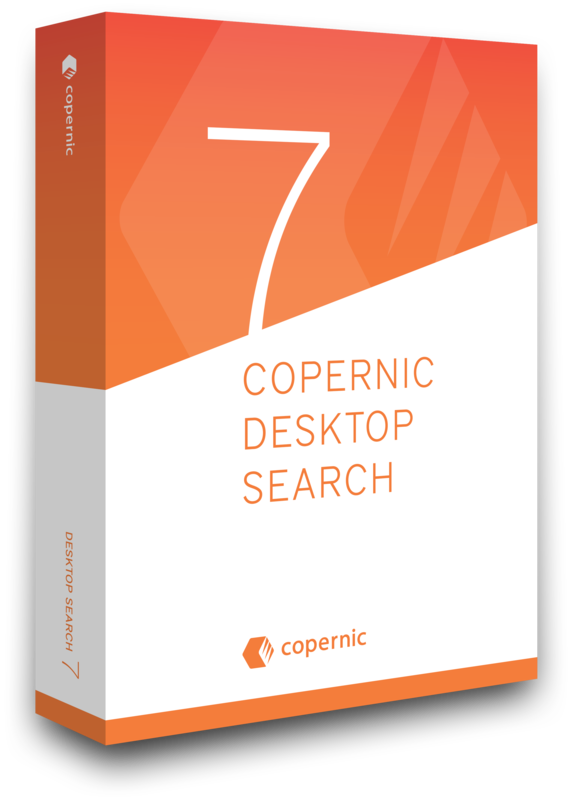 COPERNIC Desktop Search 7 is an Award-winning windows search tool for your PC. Finding the relevant data with our powerful index has never been easier & faster. Compatible With Versions of Windows 10, 8.1, 8, 7 (32 and 64 bits). To install it, you do not need any help from your IT or their approval. Download our Installation Guide. 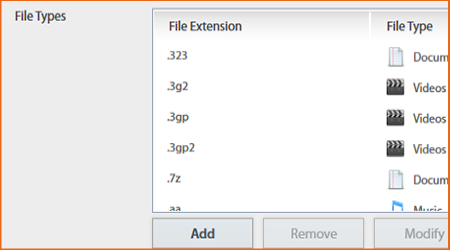 Right-click any search result to open the Window contextual menu. Inside the preview pane, see your keyword highlighted. 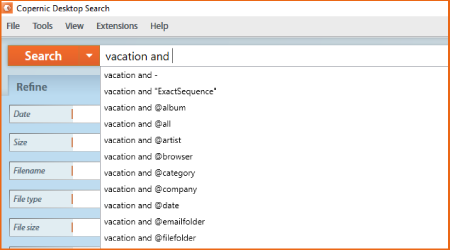 Desktop Search allows you to search your computer files & emails. It is designed to find the most relevant information on your PC, including Office files, Outlook emails & attachments, text documents and multimedia files. Join over a 4,000,000 million users community. The power of Copernic Desktop Search allows you to search truly everywhere, across every drive on your system or network. Search faster as Copernic builds its index at the first use and then simply updates it in the background. 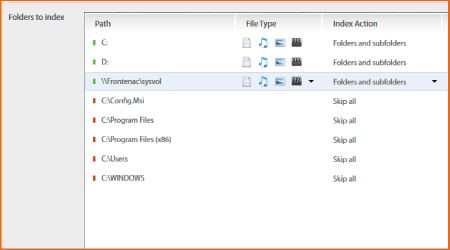 Stop being slowed down by Windows search Service as you need to select one drive at a time, Copernic will find exactly what you’re looking for. 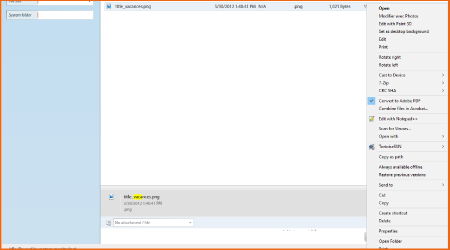 The refine pane on the left of the interface allows a user to truly dig deep into the computer files and retrieve exactly what you're looking for. 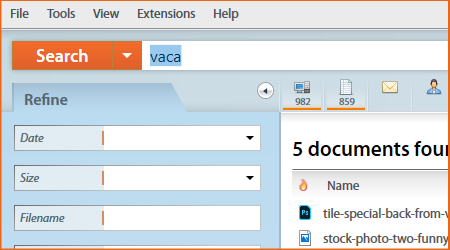 Truly customize your search features by adding or remove criteria linked with each search category. Copernic Desktop Search fully support Boolean operators such as AND, OR, NOT, NEAR and much more. Also, the search bar uses a prefix search architecture. Therefore, it finds words beginning with a given prefix (keyword). Extremely fast finding. 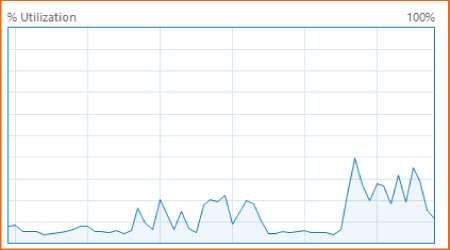 Even with huge pst-files (15 GB) . I am using CDS since version 3. It get`s better with each release and is a reliable tool since years. Helps a lot to keep at hand a lifetime of records and documents. Getting better with each version upgrade. I've followed Copernic software for years. Each iteration seems to improve. The latest version seems to have improved the indexing performance - welcomed response.